Grae Fernandez sure is an inspiration to other celebrities! Despite doing acting gigs from time to time, Grae Fernandez makes sure he gets to prioritize his studies first by doing great in school. 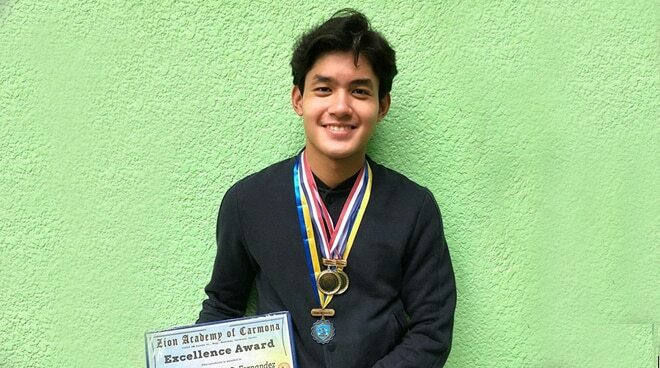 A student of Zion Academy of Carmona in Cavite, Grae Fernandez proudly shared the Excellence Award he received for his scholastic performance with honors. "Thank you," he simply wrote in his Instagram post. Fernandez starred in the iWant original series Spirits: Reawaken back in 2018, a reboot of the hit supernatural show which originally starred Rayver Cruz, Maja Salvador, John Wayne Sace, and Serena Dalyrymple. He also has an upcoming serye with Edward Barber titled Hiwaga ng Kambat which starts airing on April 21. Grae, who comes from a family of showbiz royalties, is the son of actor Mark Anthony Fernandez and grandson of a Lorna Tolentino and the late Rudy Fernandez.